I try to cook healthy meals. But so often I end up thinking the "healthy" recipes are bland, or boring, or not filling. But this one is actually tasty and healthy! Win win! Recipe adapted from here. 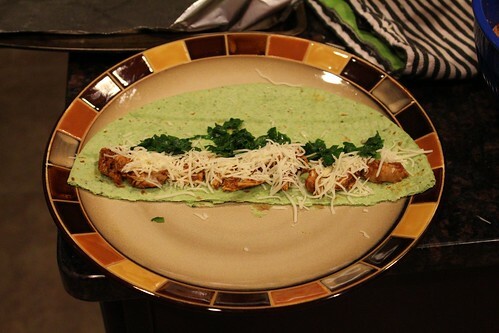 Ingredients: 4 boneless, skinless chicken thighs (about 1 pound) 16 oz beer 2 cups water 1 tsp paprika 1/2 tsp salt 1 tsp garlic powder 1 tsp cumin 1 tsp chili powder 1 jalapeno pepper, minced 3 cups fresh spinach, chopped 5 9-inch tortillas (I like to use the green spinach herb ones, but regular flour would work) 6 oz queso fresco or monterrey jack cheese (or any other melty cheese) 1 tsp olive oil salsa for serving Directions: 1. Put the chicken thighs, beer, and water in a deep saute pan. Bring to a boil, then reduce heat and simmer for 10 minutes. 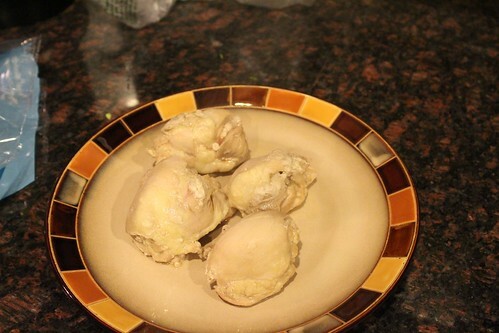 Remove chicken from the liquid and shred it with two forks. Pour out all but 1/4 cup of the cooking liquid. 2. 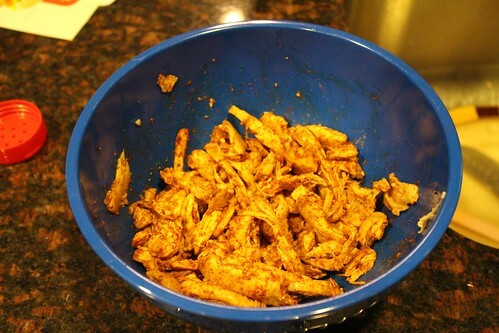 Put the shredded chicken in a bowl and mix it with all of the seasonings. 3. 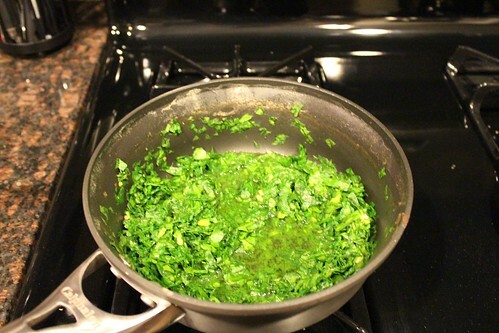 Add the jalapeno and spinach to the remaining 1/4 cup cooking liquid. 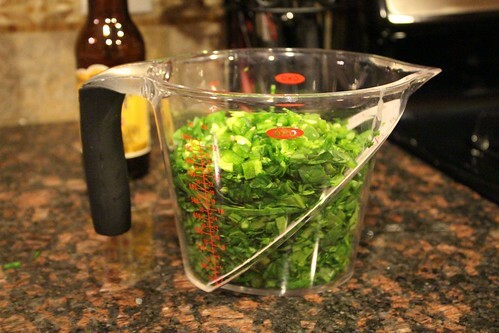 Cook over low heat for 2-3 minutes, or until spinach is wilted. 4. 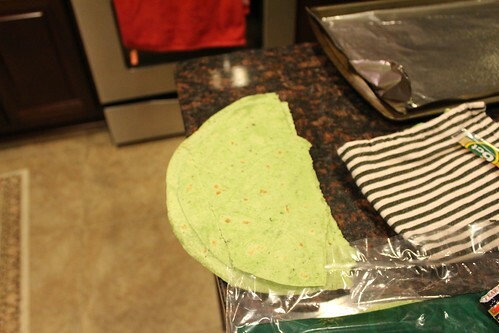 Cut each tortilla in half. 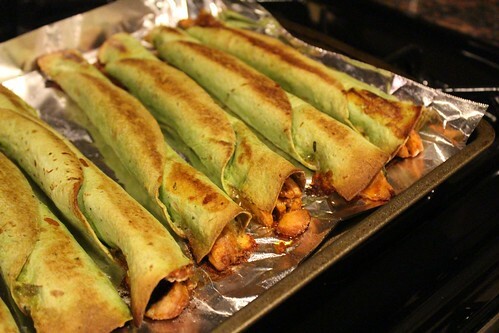 To assemble flautas, spoon chicken along the long edge of each tortilla, then top with spinach mixture and cheese. 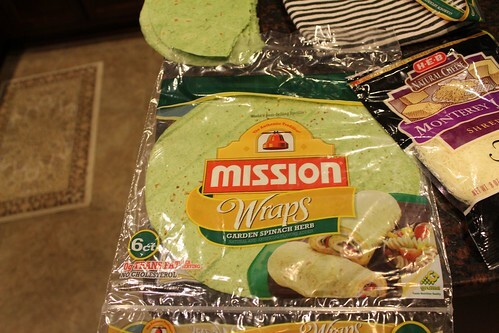 Roll the tortilla up, starting with the long edge. 5. Line a baking sheet with foil and lightly spray with cooking spray. 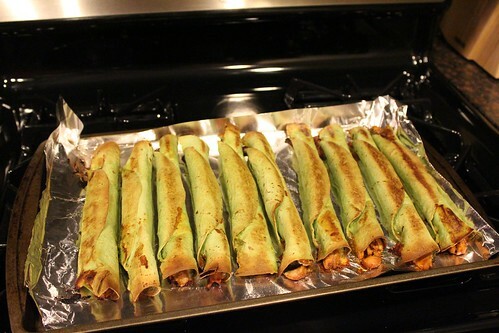 Place each flauta seam-side-down on the cooking sheet. 6. 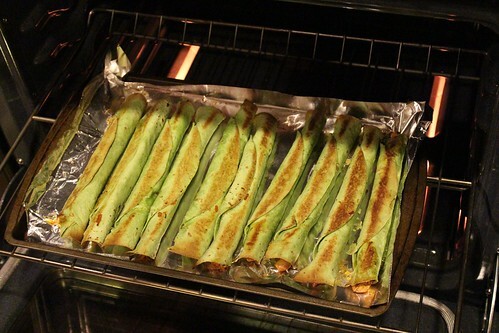 Brush the flautas with olive oil. Bake at 450 for 10 minutes. Turn over and bake for another 10 minutes, or until crispy. 7. Serve with salsa! 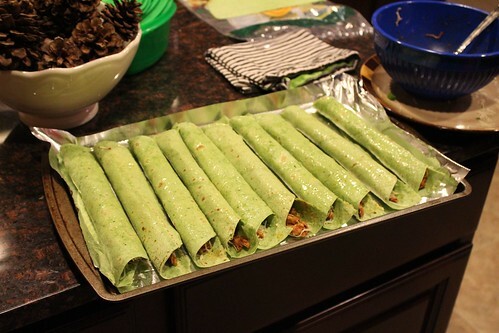 (cooked chicken) (chopped spinach) (chicken with spices) (spinach and jalapeno cooking) (these are the tortillas I like to use) (tortillas split in half) (ready to roll up) (ready for the oven!) (after flipping) (all done!) Ta-da! Enjoy!